Analysis samples by one button. Aspiration probe cleans automatically to avoid the carry-over. The appropriate calibrate program can calculate the peripheral blood and venous blood respectively and save the results automatically. 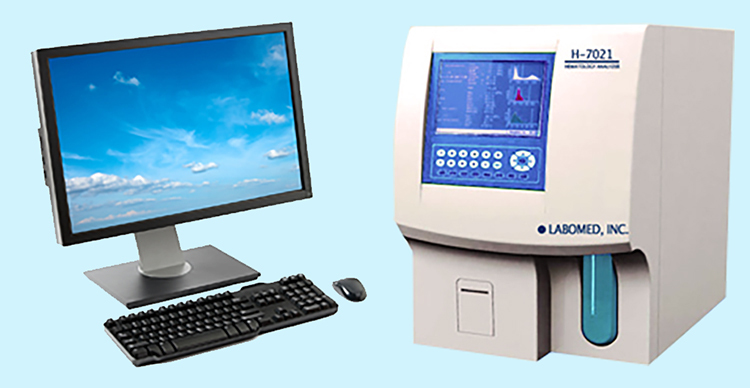 Internal Real-time monitoring system (continually supervising the micro hole, liquid circulating system and reagent residue), reminding the special results and diagnosing the problem automatically. Internal automatic capacity of maintenance. Maintaining the apparatus timely, increasing the reliability of operation. Open shell to help maintain the liquid circulating system. Safe reagent without any harm to the environment. Capable of blanking at automatic zero setting. Software can upload results to computer. Language: English, other languages on request.